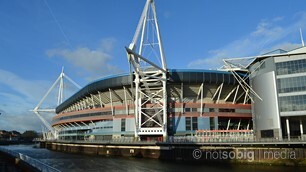 Change the Area or Choose a Sub District Cardiff City Centre" Cardiff Bay" Inner City" Suburbs" Vale of Glamorgan"
Since opening in June 1999, the Principality Stadium (formerly known as the Millennium Stadium) has welcomed, on average, over 1.3 million visitors per year. Sporting the first fully-retractable roof in the UK, the venue is at the leading edge as a multi-purpose, multi-faceted event venue. Steeped in history and full of wildlife and horticultural features, Bute Park is a magical place to escape from the hustle and bustle of city life. The park is listed along with Cardiff Castle, as a Grade One historic designed landscape and also contains the Blackfriars site, a scheduled ancient monument. 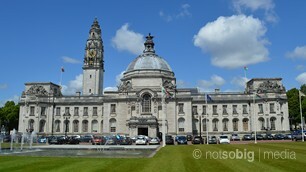 The Civic Centre is built on the former 'Cathays Park', purchased from the Marquis of Bute in 1898 for new civic buildings surrounding a central park that would lead to new City status in 1905. A pleasant walk when the weather is fine. The City Parish of St John the Baptist is among the oldest in Cardiff. The church is next to the city centre's covered market and is the oldest remaining mediaeval building in the city after Cardiff Castle, dating from the 12th century. 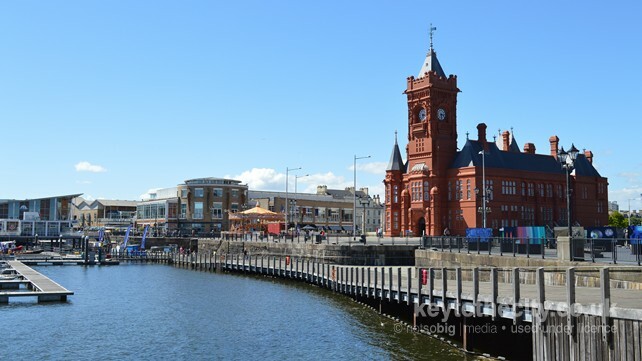 Cardiff Bay is a sheltered freshwater bay covering about 200 hectares on the Bristol Channel at the mouths of the Rivers Taff and Ely. The waterfront features iconic landmarks, attractions and a great selection of caf�s, bars and restaurants. 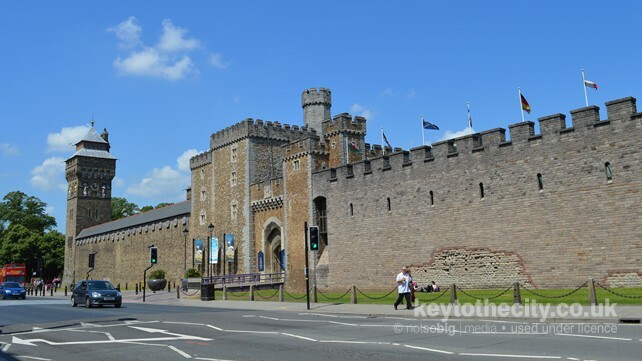 Techniquest is a leading interactive science discovery centre in the heart of Cardiff Bay. There are more than 120 hands-on exhibits, from an iconic giant pneumatic dragon to chunky puzzles, all waiting to be pulled, pushed and prodded! 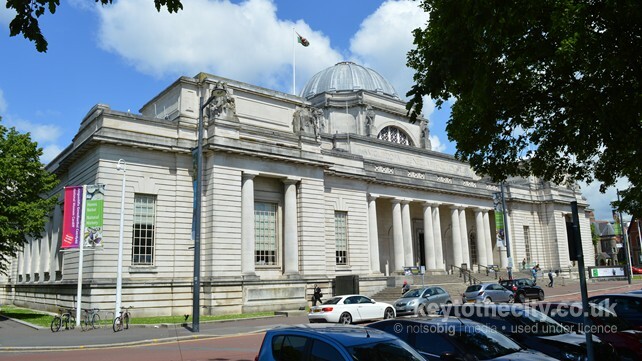 This multi-million pound building overlooks the waterfront of Cardiff Bay. Home to the Welsh Assembly Government, the Senedd contains the Debating Chamber, Committee Rooms and a public cafe serving cold food. The Norwegian Church Arts Centre is one of the landmark buildings situated in Cardiff Bay. Formerly a Church for Norwegian Sailors, the iconic building dates back to the industrial revolution, when Cardiff Docks was the world's greatest exporter of coal. Not strictly in Cardiff, but just five miles off the coast, the stunning island of Flat Holm is a different world with a wealth of history and wildlife. You�ll be amazed at how much there is to discover. Created in 2002, Cardiff Bay Wetlands Reserve is already a great centre for wildlife. The wetlands were created when the barrage was completed and the previous saline mudflats were transformed into freshwater marshland and a 400 acre lake. The Cathedral Church of SS Peter & Paul, Dyfrig, Teilo and Euddogwy is the mother church of the Diocese of Llandaff and is the seat of the Bishop of Llandaff. 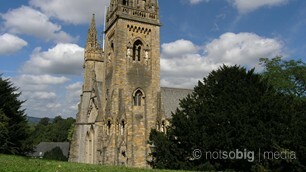 The Cathedral lies close to the bank of the River Taff in the ancient 'City' of Llandaff much of which is now a conservation area. Roath Park, opened in 1894, is Cardiff's most popular public park and it still retains its classic Victorian atmosphere and layout. 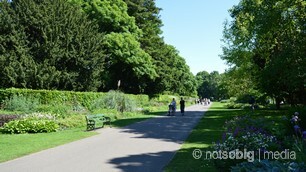 It is one of Cardiff's biggest parks with a public lake where you can go rowing or just feed the ducks! The beautiful fabled home of a very wealthy man. While resting on ancient foundations, Castell Coch (Red Castle) is relatively modern, the by-product of a vivid Victorian imagination, assisted by untold wealth. The Nature Reserve, situated in Whitchurch, Cardiff, was formed in 1967 and straddles the last remaining stretch of the former Cardiff to Merthyr canal which still holds fresh water to a quality good enough to provide a good hunting ground for Kingfishers, Herons and many others species. Well equipped miniature railway with two track ovals, a tram line and associated stations and bridges. The line runs through the parkland of Heath Park. Cosmeston Medieval Village is a unique heritage project set within the peaceful Cosmeston Lakes Country Park. 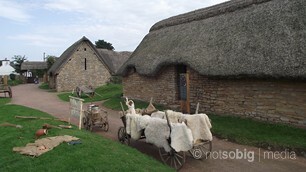 Since its discovery in 1978, the village has been carefully reconstructed and set in the year 1350. 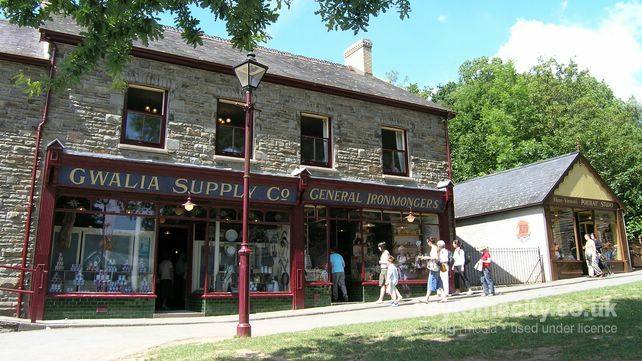 It is now populated with costumed villagers who give comprehensive tours all year round. Dyffryn Gardens are an exceptional example of Edwardian garden design, covering more than 55 acres featuring a stunning collection of intimate garden rooms, formal lawns and seasonal bedding. Within the gardens, Dyffryn House, a grand Victorian mansion overlooks the key aspects of the gardens. Built in 1894, and opened a year later, the 658-foot-long Penarth Pier is reminiscent of more gentle times and is one of only two surviving pleasure piers in south Wales, the other being Mumbles. The CTPG is a charity created in 1992 and has been based at the ex-Western Welsh Depot in Barry since 2008. As well as a large collection of buses and associated memorabilia, they also organise two very popular vehicle rallies each year. Porthkerry Country Park has 220 acres of woods and meadowland in a sheltered valley leading to a pebble beach and spectacular cliffs. The park has a number of nature trails, picnic sites, a caf�, a play area, barbecue areas and mini golf course. Picnic tables and benches are situated a short distance from the main car park. Cowbridge Physic Garden was originally part of the Old Hall Gardens, laid out by the Edmondes family in the 18th century. Badly neglected in the 20th century it was brought back to life by enthusiastic volunteers and today is a glorious array of medicinal plants and herbs, typical of physic gardens from centuries past. At the Welsh Hawking Centre you can get very close to over 200 magnificent birds of prey. There are daily displays at the flying field where you can see the graceful falcons stooping to the lure or the silent flight of an owl. Open daily except Tuesdays, April until October.